The Organic Consumers Assn. collected info about other actions around the planet during the Shut Down Monsanto Days of Action last week, including Australia, Brazil, Canada, Italy, Greece, Romania and, of course, the US. 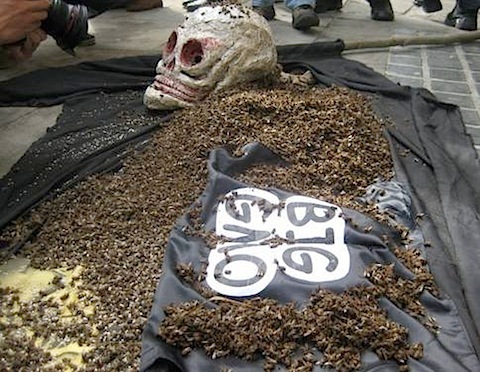 Listed below are links to blogs that reference this entry: Poland’s Monsanto action lays 1000s of dead bees on Govt steps. This page contains a single entry by Toni published on March 23, 2012 1:13 PM. Another Reason Marijuana is Illegal: It Prevents The Spread of HIV was the previous entry in this blog. Outrageous Lies Monsanto and Friends Are Trying to Pass off to Kids as Science is the next entry in this blog.